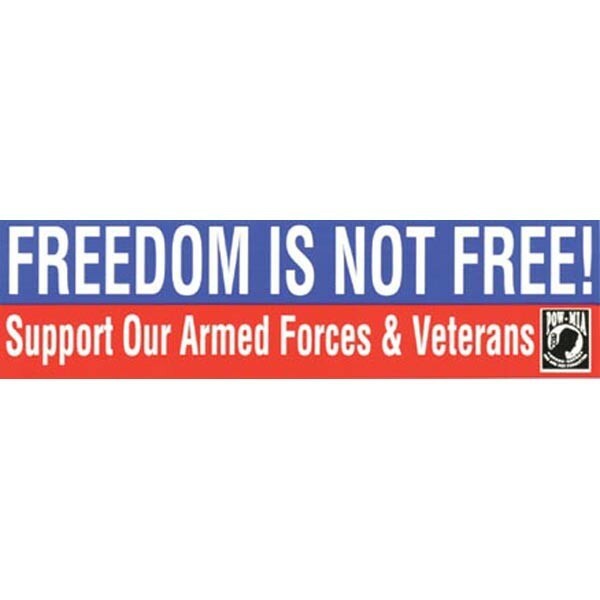 Freedom is Not Free, Support Our Armed Forces & Veterans Bumper Sticker with POW/MIA image 11.5 x 3 inch. Made in USA. Mick’s Military Shop © 2019 All Rights Reserved. Website design by Unleaded Software.